The BTG K5/1stgrade classroom is designed for children 5-7 years old (age as of September 1) who will benefit from an intensive classroom experience. 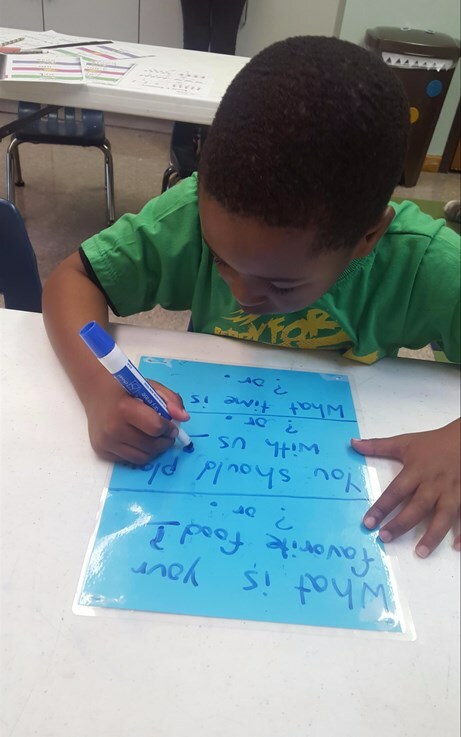 The principles of ABA are used to prepare children for future classroom placements, by teaching skills such as choral responding, following group instructions, following conditional instructions, and transitioning appropriately. BTG classrooms also participate in regular field trips to community locations throughout the year. 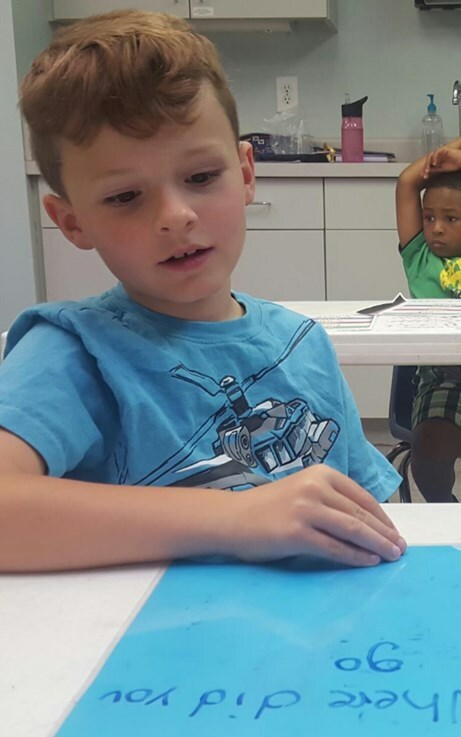 The focus of this classroom is to continue the foundation of group and social skills established in preschool, while expanding those skills to include consistency with classroom routines and academic performance. My name is Lindsay Small. I started working with Project Hope in May of 2014 and continued to work summers until June of 2017 when I graduated from Winthrop University with a degree in Psychology. I was so excited to join Bridging the Gap as a lead teacher. I went to Hope Academy from 2nd to 5th grade and was influenced tremendously by watching the growth within my peers. This made me want to become involved in helping other students grow to their full potential. When I am not working you can find me working on my masters in Behavior Analysis, playing with my cat Mitsy, and spending time with my husband and family. Alex is a native of West Virginia where he graduated from Calvary Christian School in 2011. He completed his bachelor’s in music education at Bob Jones University in 2015. As part of his studies he taught band at Tanglewood Middle School for a semester-long practicum in 2014 and completed his clinical practice teaching general music to grades K5-5th at Bell’s Crossing Elementary in 2015. After graduating, Alex returned to Bob Jones University where he studied studio art and served at the Museum & Gallery at Bob Jones University. Among his responsibilities at the gallery were training the guard staff and leading tours for students and visitors. Alex joined the team at Project HOPE in 2017. Alex enjoys music, reading, and exploring new foods. He is an active member of Cornerstone Baptist Church.